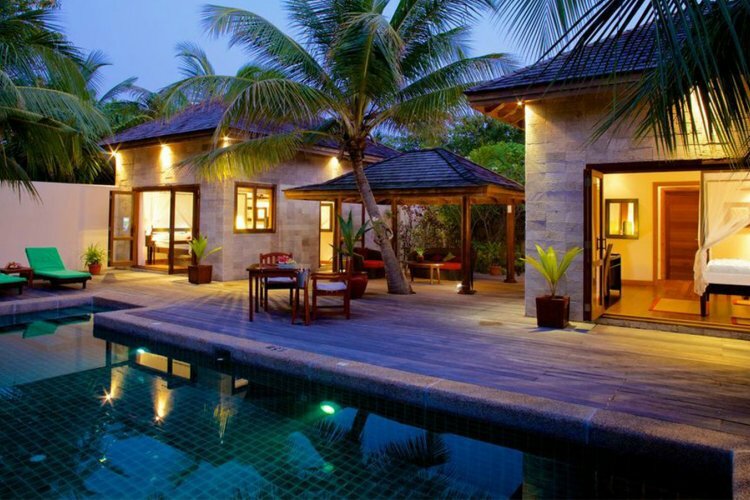 For a pure tropical island paradise, the Kuredu Island resort has it all. Set on a 3km pristine white beach, the resort has superbly furnished accommodation, a tranquil spa and a variety of restaurants and bars for you to enjoy on your holiday. Being the sole resort on the island gives you unlimited access to the entire island and all its beaches and the surrounding lagoon and coral reefs. Choose tour surroundings with a large selection of garden, beach and water villas, each one promising luxury and unrivalled tranquillity. Sultan Pool Villas have private pools nestled in the lush vegetation a few steps away from the beach, Sangu Water Villas give all guests private access into the lagoon from the spacious wooden deck, and Garden Bungalows provide seclusion and comfort amongst the mature trees and verdant surroundings. 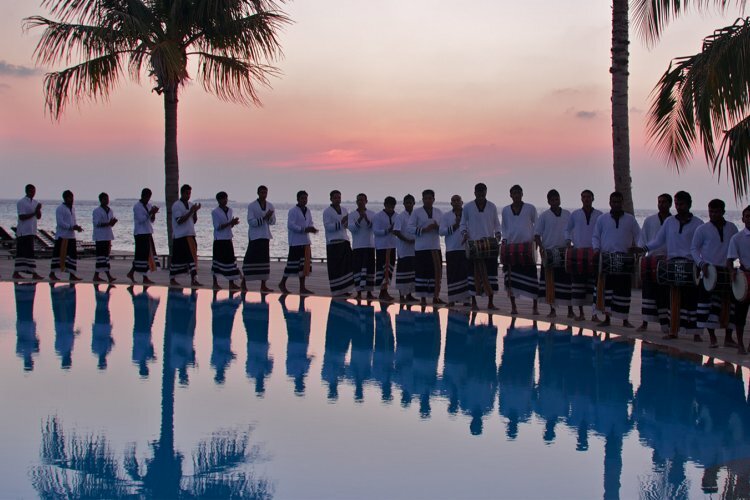 Mediterranean, Maldivian and Oriental cuisine all meet at Kuredu Island Resort. The Beach uses the freshest ingredients available and crafts them into truly delectable dishes to tantalise the senses. 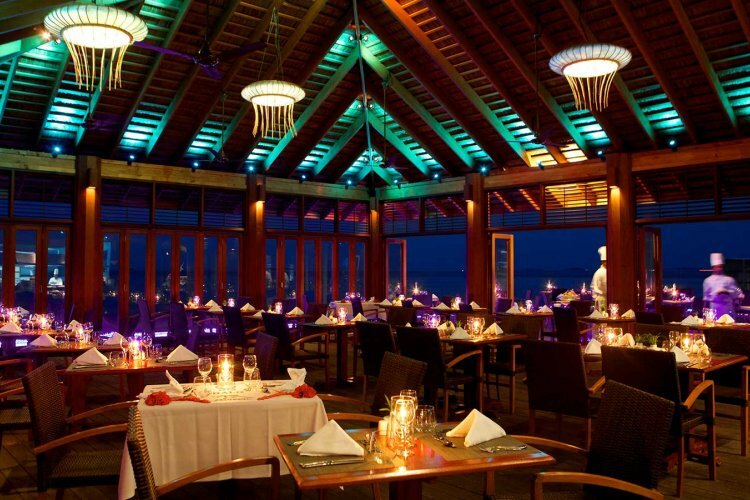 Enjoy your seafood cooked to order, surrounded by the island atmosphere looking out towards the Indian Ocean. Guests can indulge in a range of Mediterranean cuisine from Spanish and Greek to Italian and Sicilian. Herbs, spices and other ingredients are grown and picked on site, giving guests the freshest dishes possible such as their self titled 'Best Pizza in the Maldives'. Oriental flavours and dishes can be found in The Far East with the live cooking station serving al a carte and teppanyaki recipes giving guests a course-by-course journey though Japanese cuisine. Many outdoor activities are on offer including windsurfing, water skiing and snorkelling. Scuba diving is also a great way to experience the incredible sea life, wrecks and caves surrounding the island. The house reef is teeming with aquatic life from manta rays, reef sharks and sea turtles to lion fish, jacks, and bat fish. The range of water sports will leave you struggling to decide what to do first, if it should be sailing on a catamaran, wakeboarding behind a power boat around the lagoon or getting an amazing view from 500ft in the air while parasailing, the options are endless. We had an absolutely marvellous holiday. The only negative was the lack of view from the villa 271. We couldn’t see the beach or sea due to trees which I guess can’t be helped. Good News! There are 18 suppliers who can supply prices.